Leaf architecture is a key diagnostic feature used to identify both fossil and extant plants. This is especially true in the Fagaceae. In this paper, we report a comprehensive study of leaf architectures of five species of Fagus (Fagaceae) in China. Our results show that venation pattern is restricted to the semicraspedodromous and brochidodromous types, tertiary veins are sinuous opposite percurrent, alternate percurrent, and mixed percurrent, and that veinlets are absent or unbranched or branched once. Areoles are well developed and of irregular triangle, quadrangle and pentagonum in shape. They are regularly arranged and a tooth is formed by the principal and accessory veins, with the tooth accessory vein being looped. Leaf margins are sinuous or sinuous with teeth. Our results also indicated that the secondary vein and higher level vein features were stable characters, that differed among the five species. They could be used, therefore, as important diagnostic features for identifying these species. Based on the differences and similarities of leaf architectures, keys used to identify Fagus species in China were revised. Moreover, based on a comparison of our results with those of former leaf anatomy studies in the Fagaceae, a key based on leaf architecture of Fagaceae genera was also revised. Asplenium gulingense was reduced to a synonym of Akiangsuense in the English version of Flora of China. However, the status of both entities has not been investigated rigorously. Phylogenetic analysis of plastid and nuclear sequence data and inference of ploidy level were used to investigate the relationships between these taxa and their putative polyploid origin. Both Akiangsuense and Agulingense were considered to be likely autotetraploid members of the Anormale complex and because of their morphological and phylogenetic similarities, we accept that Agulingense should be treated as a synonym of Akiangsuense in the English version of Flora of China. Chromosome numbers can be helpful in understanding the taxonomy and phylogenetic patterns within plant groups. Primulina sensu lato (s. l.), a genus that has recently been redefined and expanded to include all species of Chiritopsis, two of Wentsaiboea and all of section Gibbosaccus of Chirita, has not been well documented cytologically. In the present study we determined the chromosome numbers of fourteen species, three varieties and seven undescribed taxa of Primulina s. l. using conventional rapid squash techniques. In addition, three species of its closest ally, Petrocodon sensu lato (s. l.), were also investigated cytologically. With the exception of Primulina tabacum, all counts are new. A high stability of chromosome number, 2n=36, based on x=18, was recorded in Primulina s. l. Chromosomes were relatively small in size, with mostly metacentrics and submetacentrics predominating. Although slight variation in chromosome size occurs among taxa, the overall homogeneity of chromosome morphology and pattern of basic chromosome number conforms with the results of molecular phylogenetic studies, which strongly support the monophyly of Primulina s. l., and also recent taxonomic treatment. Interestingly, the possession of the same chromosome numbers together with similar chromosome morphology, indicates that Primulina s. l. and Petrocodon s. l. are closely related, which is consistent with the molecular phylogeny of these genera. The rapid growth of bamboo culms at the juvenile stage is still an unresolved scientific issue in grass biology. In this study, we selected the eighth node as the standard node to investigate internode development in the paleotropical bamboo species, Dendrocalamus latiflorus. An elongation curve and anatomical features of the eighth internode were determined using statistical methods and a paraffin section technique, respectively. Internode elongation was found to show a “slowfast” trend. During early stages of internode development, most cells divided quickly, but then gradually stopped dividing before elongating in a topdown orientation between the nodes. Finally, cells forming the internode stopped elongating and became mature. This is the first report on internode development of a largesized paleotropical bamboo species, and should promote further research on rapid growth of bamboo shoots. Culturable bacterial communities inhabiting ascocarps of Tuber panzhihuanense were investigated. Isolates obtained on tryptone soy agar (TSA) were screened with high performance capillary electrophoresis (HPCE) according to differences in size of 16S rDNA V3. Target isolates were identified by analysis of the whole length of 16S rDNA gene. The results revealed that the ascocarps of T. panzhihuanense harbored a great number of culturable bacteria which belonging to 20 species and 11 genera in 5 phyla. Most isolates (4968%) were affiliated to the γProteobacteria, dominated by Pseudomonas lurida. The second major subclass was αProteobacteria (3742%), with Phyllobacterium and a nitrogenfixing bacterium Bradyrhizobium japonicum also occurring as dominant taxa. The remaining bacterial isolates contained members of Actinobacteria (322%) and Firmicutes (774%) of which Bacillus was the commonest bacterium. A novel Tuberassociated culturable bacterium species, Terriglobus roseus, was isolated and detected for the first time in Tuber ascocarps. The genus Sinopodophyllum was validly published in 1979 under Article 401 & 403, although the combination “Semodi (Wall) Ying” was not validated contrary to Article 415. The only species Shexandrum (≡Phexandrum) was validly published by T.S. Ying in 1993, not in 1985. Rhododendron spinuliferum (Ericaceae) is an ornamental and medicinal plant endemic to southwest China. In order to study hybridization between Rspinuliferum and Rspiciferum, a FIASCO (Fast Isolation by AFLP of Sequences Containing Repeats) method was used to develop microsatellite markers in Rspinuliferum. A total of 28 microsatellite markers were isolated from 100 SSR primer pairs, of which 22 were polymorphic. Polymorphism of the 22 polymorphic loci was assessed separately in 24 individuals collected from two wild populations. The number of alleles per locus ranged from 2 to 5, with an average of 34, while observed (HO) and expected (HE) heterozygosities varied from 0083 to 0792 and from 0153 to 0744, respectively. The same 28 microsatellite markers were also tested in two wild populations (12 individuals from each) of Rspiciferum. Twenty two of the markers were successfully amplified, of which 20 were polymorphic. Estimates of diversity in two natural populations of Rspiciferum based on the 20 polymorphic markers revealed that number of alleles per locus ranged from 2 to 6, with a mean of 32, while observed (HO) and expected (HE) heterozygosities ranged from 0000 to 0833 and from 0117 to 0736, respectively. These newly developed microsatellite markers will be used in future studies of hybridization and the population genetics of Rspinuliferum and its closely related species. The conifer forests in southwestern China are mainly dominated by three vicariant species within Pinus: P. kesiya var. langbianensis, P. yunnanensis, and P. densata. Their sites range from lower to higher elevations, respectively, and each species shows differences in rates of development, especially with regard to height. 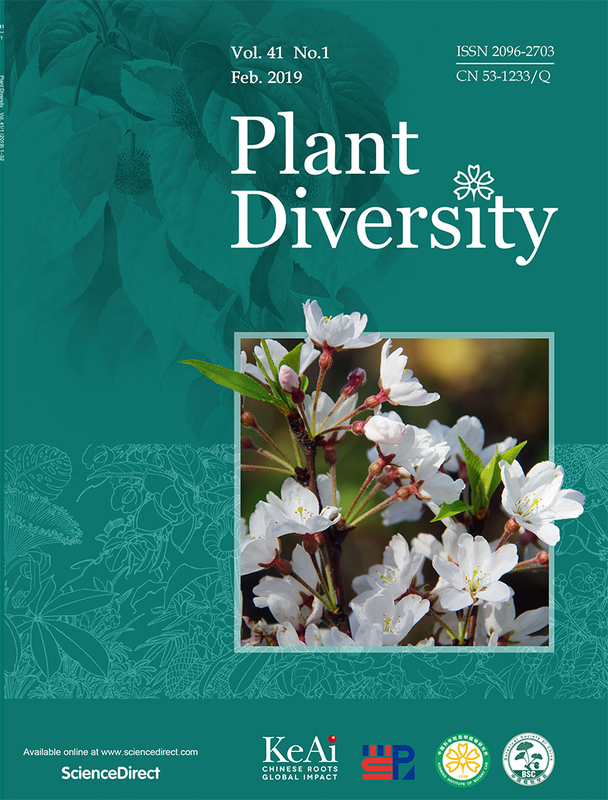 To identify the physiological and morphological causes of this inherent variation, photosynthesis, biomass partitioning, growth rates and leaf traits were investigated of plants cultivated under the same environmental conditions. Trees of the species native to the lower elevation were taller, and had higher values for dry weight, relative growth rate (RGR), leaf mass fraction (LMF), stem mass fraction (SMF), and specific leaf area per unit mass (SLA), relative to those from the higher elevations. However, their leaf N and C contents per unit area, and their root mass fraction (RMF), were smaller than those of highelevation trees. Photosynthetic capacity in species from high elevations was not significantly reduced from the level calculated for trees from lower elevations. Both RGR and tree height were positively correlated with LMF and negatively with RMF, but no significant positive correlations were found with maximum photosynthetic rate determined on both an areabasis (Amax) and massbasis (Amass). These findings suggest that the patterns of biomass partitioning and longterm morphological traits are better predictors of performance among trees of different Pinus species growing along an elevational gradient. In this study, we used hydroponics to cultivate the root hemiparasites, Pedicularis tricolor and P. rex, in the absence of their host plants. The direct effects of nitrogen (N) and phosphorus (P) levels and different nitrogen forms on root architecture of the two species were tested in two experiments using nutrient solutions modified from the standard Long Ashton formula. In Experiment 1, solutions were used which either lacked N or P, or contained double the standard concentrations of N or P. In Experiment 2, different forms of N (NO3-N and NH4+N) were supplied. Obvious changes were observed in root morphology of both Pedicularis species in response to different levels of N and P supplied. However, the two Pedicularis species showed different responses to N and P deficiency. In P. tricolor, both N and P deficiency promoted elongation of the main and lateral roots, as well as the formation of haustoria. In contrast, root development in P. rex was significantly inhibited by a lack of either N or P. No haustoria were observed in roots of P. rex in any of these treatments. Varying the nitrogen source had a strong effect on root morphology and growth of both Pedicularis species, with NO3-N promoting better root development and biomass accumulation, relative to NH4+N. In addition, we observed that P. tricolor produced many haustoria without the need of mechanical stimulus. In light of these findings, we propose that mechanisms of haustorium formation may be significantly different between these two species, and that N and P may be involved in the regulation of haustorium formation in both species. are increased when inoculated with Plectosphaerella sp., Chaetomium sp., Nigrospora sp., Fusarium sp. and Graphium sp. Inoculation with Chaetomium sp. also increases significantly the length of internodes. These results provide a preliminary foundation for appropriate use of endophytic fungi to improve hemp quality, and why further study of such effects would be of value. Leaf traits can indicate a plants′ function and response to the environment. Leaf functional traits are affected by both genes and the environment. We examined these effects on leaf traits in a Tobacco variety (Tabacum ‘K326’) planted at 11 different sites, and also on 12 different tobacco cultivars grown at one site. Our results showed that genetic variation had a larger impact on stomatal density and leaf thickness than stomatal length and vein density, while the environment had a greater effect on minor vein density and leaf thickness than stomatal length and stomatal density. At one site where temperature was high, Tabacum‘K326’ exhibited its highest minor leaf vein density. 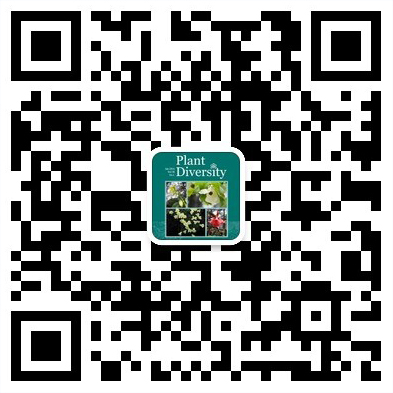 An analysis of relevant literature and specimen records was conducted, together with field investigations, to examine the species composition, life form, origin, harmfulness and form of introduction of alien invasive plants in Zhejiang Province, China. A total of 166 alien invasive plant species belonging to 106 genera and 46 families were identified. The most common families represented were Asteraceae, Leguminosae and Gramineae, while the most common places of origin were South America, accounting for 3216% of all species, followed by North America (2563%) and Europe (1959%). Twentythree of the species were considered to cause high levels of damage, 60 medium levels of damage, and 83 low or minimal damage. Based on our records, we removed some invasive species from existing lists and added some new ones. Several suggestions for the management of invasive plants in Zhejiang Province are presented. The “Saccharum complex” (Gramineae) is composed of C4 plants with high bioenergy potential. In recent years, because of the world energy crisis and developments in plant genetics and breeding, researchers at home and abroad have paid more attention to resource evaluation and bioenergy breeding of the “Saccharum complex”. This paper provides background to the taxonomy and key members of the “Saccharum complex” and reviews domestic and foreign progress on breeding the “Saccharum complex” using the core species, Saccharum and Miscanthus, as examples. The major purpose is to summarize previous research on breeding the “Saccharum complex”, and to highlight problems and solutions regarding phyletic classification and germplasm resource utilization of related taxa. Some suggestions are also given on future basic research and industrial exploitation. An ethnobotanical study was conducted through interview and field work during 20103-20117 to determine the wild medicinefood plants used by the local people of Xishuangbanna, southwest Yunnan, China. All information provided on the uses of medicinefood plants by local communities was documented. In addition, the disk diffusion method was used to test the antibacterial activities of some plants. A total of 95 plant species belonging to 43 families were reported as medicinefood plants, with Solanaceae (6 species) and Lamiaceae (6 species) being the most represented families. Most plants used were herbs (495%), of which 20 were screened for antibacterial activities. Baphicacanthus cusia and Solanum spirale showed moderate antibacterial activities against Staphylococcus aureus. Our interviews revealed that in the study area wild plants are still commonly used for food and medicinal purposes by people in their daily lives. However, there is a gradual loss of traditional knowledge about these plants due to a decline in intergenerational transmission of knowledge. Loss of this precious knowledge is a major concern. The correlation between seed mass and elevation is an important and controversial topic in ecology. We examined seed mass and elevation distributions of 2879 seed collections belonging to 853 plant species and 123 families in China, to determine if seed mass was correlated with elevation. Our results showed that, in general, seed mass was negatively correlated with elevation, with magnitude of seed mass and lifeforms decreasing significantly with increasing elevation. However, among all seven magnitude orders of seed mass, 100 was the only one that was negatively correlated with elevation. Moreover, among all seven life forms investigated, only the seed masses of shrubs and creeping herbs were negatively correlated with elevation, while at the species level, only 82% of species showed a significant correlation. Our results indicate that associations between seed mass and elevation in Chinese species are most likely affected by a complex of factors. Thus, variation in seed mass is likely to be affected by both species genetic variation and environment conditions, and this should be borne in mind with regard to agricultural and forestry practices, as well as land management and monitoring of invasive species. Essential oils obtained by hydrodistillation from leaves of Laggera pterodonta collected from four different locations (Kunming, Lijiang, Puer and Xinping) in Yunnan, China, were analyzed using GCMS and GCFID. The number of compounds identified in each sample was 39, 37, 33 and 44, respectively, representing 9332% (Kunming), 8057% (Lijiang), 9224% (Puer) and 9385% (Xinping) of total essential oils. Chemical compositions of essential oils differed between sample locations: thus, those from Kunming were rich in benzenoid compounds (3806%) while those from Lijiang and Puer were largely dominated by sesquiterpenes (1989% and 4465% respectively) and sesquiterpenes oxide (4085% and 3511%, respectively), and those from Xinping contained a high proportion of monoterpene hydrocarbons and sesquiterpene hydrocarbons (4223% and 3325% respectively) (7548%). The results of tests on the antimicrobial activities of essential oils indicated that chemical composition was affected by environmental variation causing differences in sensitivity to microbes among samples.